Herbed gefilte fish is baked in a terrine for a brighter, fresher take on tradition. First, a confession: I&apos;ve never liked gefilte fish. The slimy, grey balls of fish from a jar have always struck me as icky. That&apos;s a remarkable statement coming from someone in the gefilte fish business. Alpern is half of the team behind the Gefilteria, which makes artisanal gefilte fish. Yes, that is a thing. Alpern gave me a demonstration at a catering kitchen in Brooklyn. "So we&apos;ve got some oil. We&apos;ve got egg, onion, sugar, kosher salt, a little bit of white pepper," Alpern says. "We also have whitefish that I picked up from the Jewish fishmonger this morning." She blends it all together in a food processor, along with fresh dill and watercress. Gefilte fish is Yiddish for "stuffed fish." It&apos;s a staple of Jewish holiday tables around the world. To Ashkenazi Jews from eastern Europe, it was a delicacy. But it is not so beloved by their American descendants. Ashkenazi cuisine in this country has earned a reputation for being heavy, monochromatic and bland. But Alpern and her business partner, Jeffrey Yoskowitz, say it doesn&apos;t have to be. "We both had a love for these food traditions, and we didn&apos;t want to see these traditions die with the older generation," Yoskowitz says. "And so we started making gefilte fish. We were making borscht. We were making all sorts of pickles and sauerkraut. 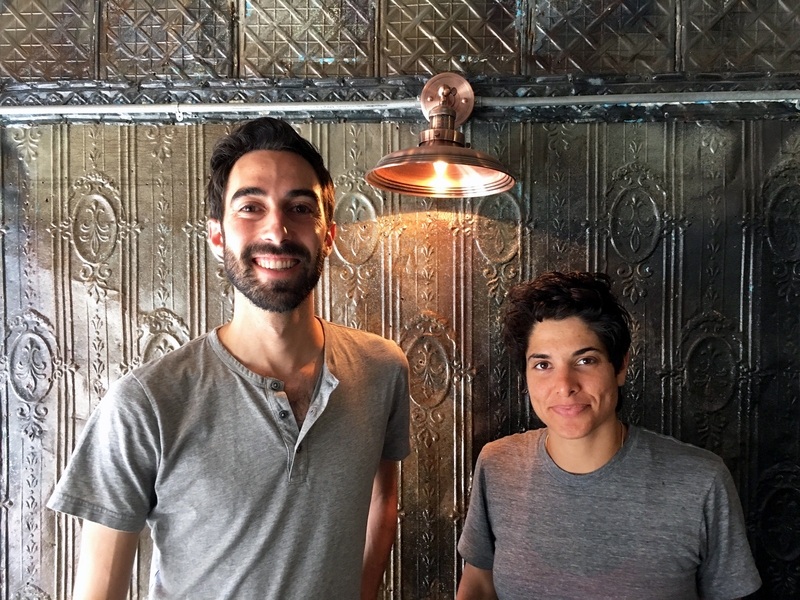 And that became our mission: to sort of revitalize this cuisine." Yoskowitz and Alpern grew up eating traditional Jewish foods at home in the suburbs of New York. When they were starting their business five years ago, Yoskowitz and Alpern wrote a mission statement that they called The Gefilte Manifesto. That&apos;s also the title of their new cookbook. 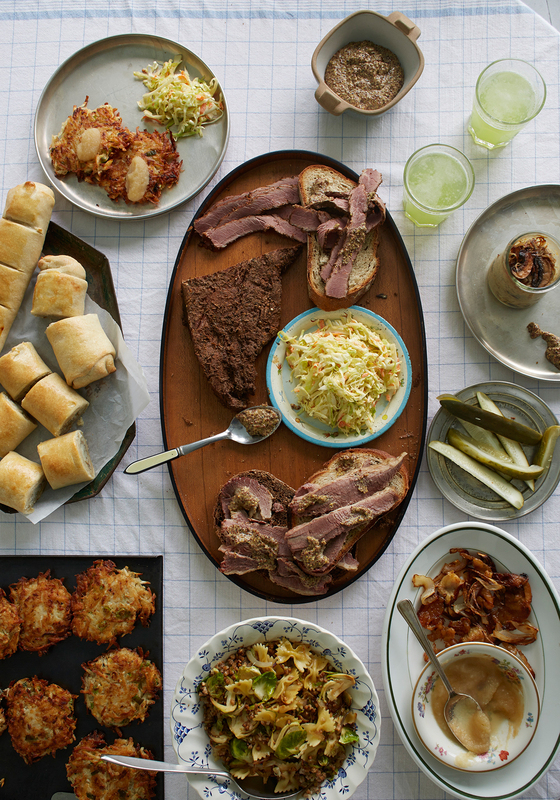 It&apos;s got recipes for pastrami and pickles, brisket and blintzes, kugel and kreplach. And of course, three different recipes for gefilte fish. "Of all the Jewish foods," Yoskowitz says, "this is the one that needed the most love." "The whole idea culturally is that this fish was so important to the holiday table — so critical, so sacred — that you would give up bathing for a week in order to have gefilte fish," Alpern says. The stay in the bathtub accomplished a couple of goals. It helped to flush out the muddy flavor of a bottom-feeding fish like a carp. And Alpern says it also meant you could shop early and beat the holiday rush. A lot of the recipes in The Gefilte Manifesto are about taking this food back to basics, says Alpern, with good, seasonal ingredients. But she says they&apos;re not overly concerned about authenticity. "It&apos;s one thing to make something and associate it with your grandmother," Alpern says. "It&apos;s another thing to make something at a table, today, now, with your friends who are cool."